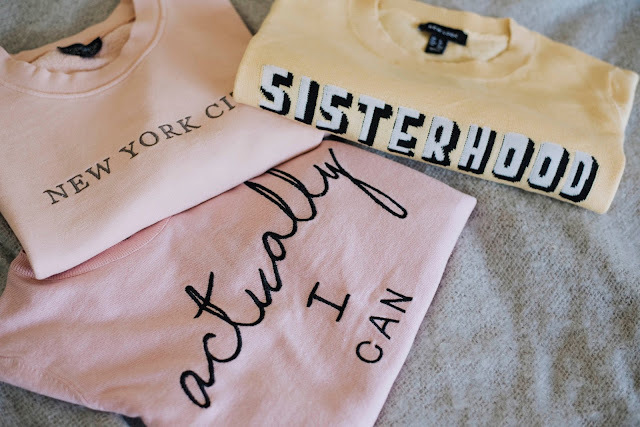 Haven't slogan t-shirts and sweatshirts just made SUCH a comeback recently? They never really went away, but I guess we were pretty preoccupied with those iconic Topshop embroidered swallow Fred Perry-esque tees (who remembers pairing one of those badboys with a huge Primark pearl necklace for their Bebo profile pic) and then it was all about the plain and simple cropped until the slogan took centre stage again. 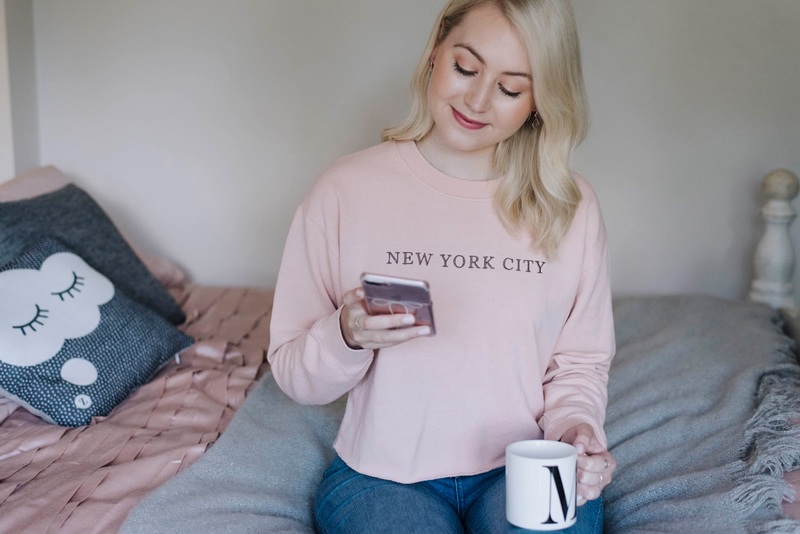 With everything from Gucci-inspired washed logo numbers to retro vintage pieces, we've got the ability to emblazon our chests with an unlimited amount of words through which you can say as much or as little as you'd like. 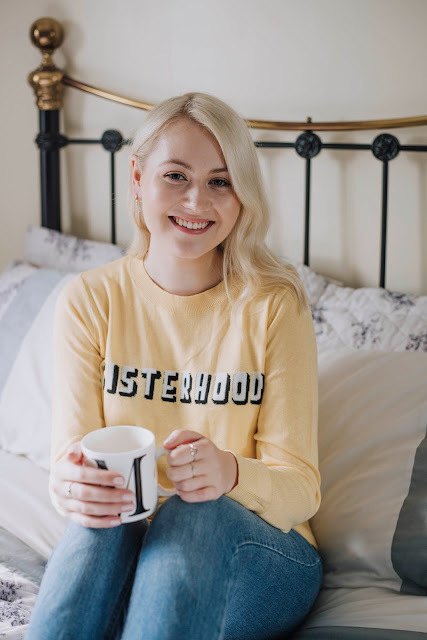 You can let the world know that you're a feminist (and that everyone else should be, too), that you're a true 90s kid or remind yourself that you're much more worthy than you often realise. 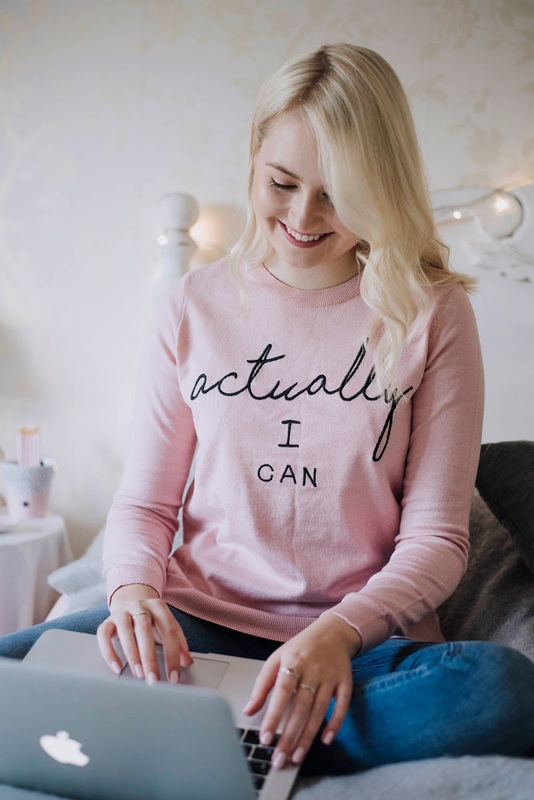 The first of the bunch comes from good old New Look courtesy of their millennial pink Actually I Can jumper which immediately makes me think of that amazingly inspirational scene in Legally Blonde where Elle has completely had enough of everyone underestimating her and 'Watch Me Shine' by Joanna Pacitti plays. 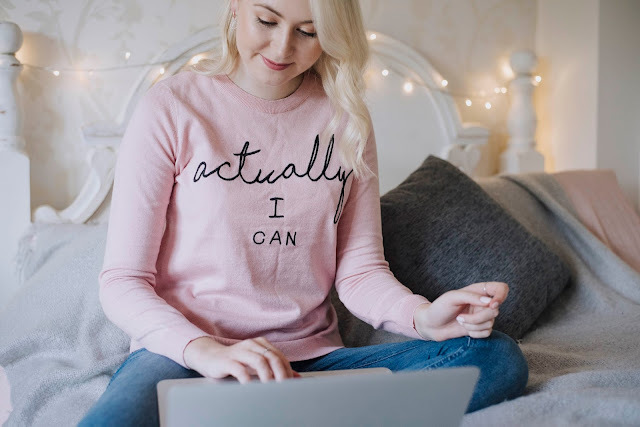 You can find it here, here and here and I pinky promise there's just something about that motivational quote that makes you think, 'you know what... yeah, I actually can', and it's quite the gamechanger. 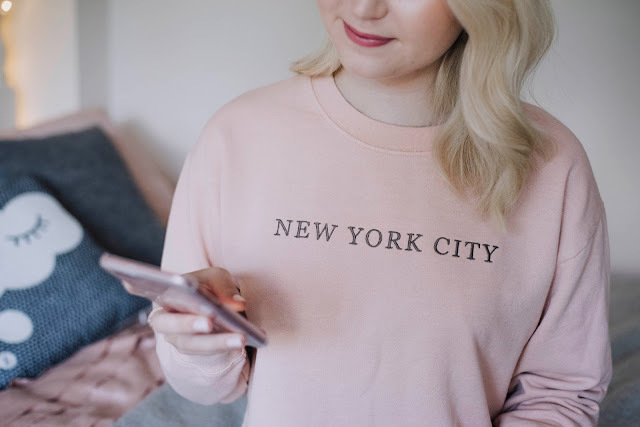 Never having been to New York City (I know right, call yourself a blogger, Meg) I can't say I 100% relate to this slogan in the same way I relate to the 'gal needs a kick up the bum to realise she's not totally awful at everything she does' way I do to the first jumper, but I love everything from the soft colour to the relaxed shape to the casual hem to the silvery-lilac embroidery of the lettering. Find it at Topshop here, and pair it with equally casual high-waisted jeans like the ASOS Farleigh and an 80s-inspired matching jacket like this one. 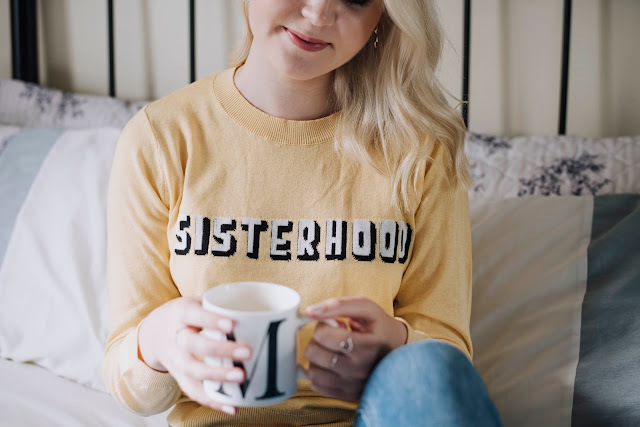 This jumper spoke loudly as 'sisterhood' to me isn't just about my close-knit group of gal pals, it's about supporting anyone and everyone that you believe in; it's about drag queens you admire and your best friend who happens to be a lesbian and underrated bloggers who don't get the opportunities they deserve because of their skin colour or their weight. It reminds me that we're all in this together and that you rise by lifting others.